The Michigan State Police recently completed its annual cop car showdown, and while we wait on the official results we’ve seen some preliminary numbers. Even though Ford’s Police Responder Hybrid got smoked by every other contestant, it still dusted the old Crown Vic in a sprint to 100 mph. MSP runs pretty much every police-trim car and motorcycle on the U.S. market through its gauntlet at Grattan Raceway when fresh stuff comes out, and Ford’s Pursuit Hybrid and Pursuit F-150 along with the Yamaha FJR1300 Police are new to the mix this year. Government-Fleet reported that 13 cars and seven motorcycles in total were tested by MSP last month including the Chevrolet Tahoe 4WD and RWD, Dodge Charger 3.6L and 5.7L RWD, Dodge Charger AWD, Ford Police Interceptor sedan 2.0L EcoBoost, 3.5L FWD and 3.5L EcoBoost, and 3.7L AWD, and Ford P.I. Utility 3.5L EcoBoost and 3.7L AWD. The BMW R1200RT-P, Harley-Davidson Road King, Electra Glide, and Electra Glide Optimal, and Zero DSP ZF12.5 ABS were tested as well. 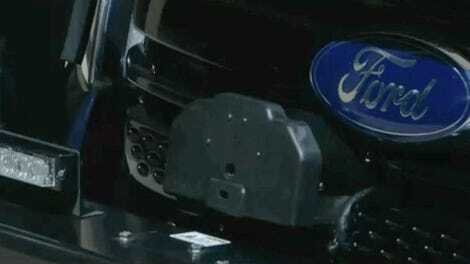 But we pretty much know how all those vehicles have fared in MSP’s past police tests. I think the 2019 Ford Police Responder Hybrid Sedan’s performance is by far the most interesting. 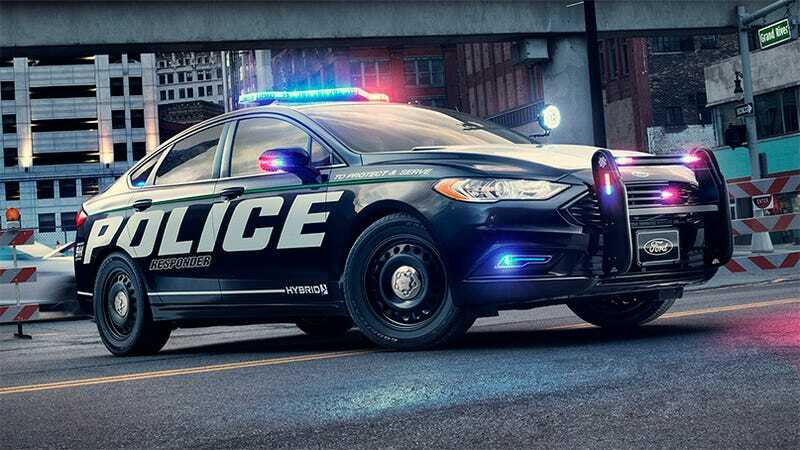 Using an Atkinson-cycle 2.0-liter engine with an electric motor fed by an advanced lithium-ion battery, Ford has explained that the Police Responder Hybrid is “calibrated for law enforcement’s unique duty cycle and will run in battery-only mode up to 60 mph. The car automatically switches to maximum performance – with the engine and battery working at peak acceleration levels – when needed.” The Hybrid smoked the Crown Vic to 100 mph by a full 1.3 seconds, and is estimated to get an EPA rating of 38 mpg in combined driving where the Crown Vic scored 19 mpg there. Of course, it was still about 9 seconds behind the EcoBoost V6 Ford Taurus-based cop car, which reportedly ripped from a stop to 100 mph in just 13.4 seconds. *The Crown Vic’s time was reported from another test. Obviously the Police Responder Hybrid’s value proposition is efficiency; saving fuel costs on long hours of lurking, not high-speed performance. But it’s neat to see where it falls in the ecosystem of cop cars you might pass on the highway. Uh, not that you’d need to be looking out for them, since you only cruise at exactly the speed limit right?